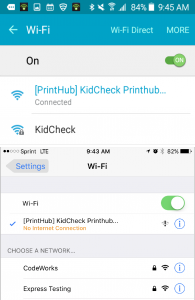 Before setting up your KidCheck PrintHub, please make sure that Panda Wireless adapter is attached to any USB port and the power supply is attached to the PrintHub. 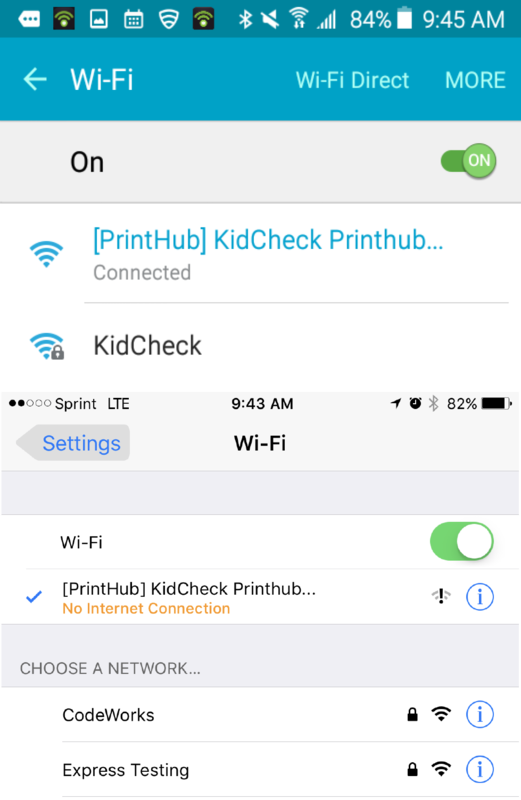 In order to get the app, you must search for KidCheck Printhub Express from the Google Play Store or Apple App Store and download it. Once you see a green light on the appropriate boxes, then you have successfully set up the PrintHub Express correctly. 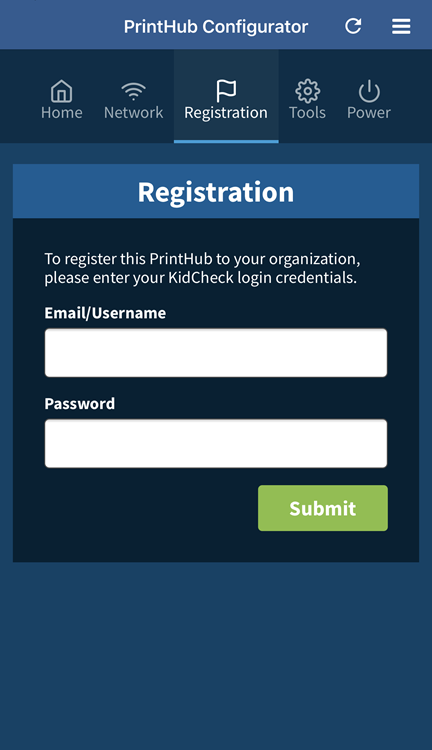 Select Registration and enter your KidCheck username/password to register the PrintHub to your organization. Make sure to select the campus (for instant 2nd Campus, East Campus, KidCheck Support) before selecting the submit button. If you have multiple Printhub Expresses, it is suggested to rename them to distinguish them apart from each other. 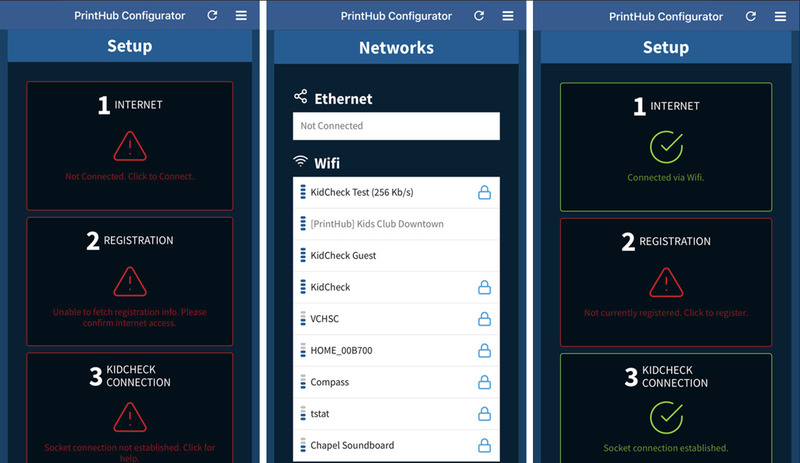 The PrintHub is ready to use. (You can select the other areas to further configure it, if needed).